Italy's government is bailing out two banks in the Venice region at a cost of 5.2bn euros (£4.6bn; $5.8bn). The move comes two days after the European Central Bank warned that Banca Popolare di Vicenza and Veneto Banca were failing or likely to fail. The banks' "good" assets will be taken on by Intesa Sanpaolo banking group. Italian Prime Minister Paolo Gentiloni said the rescue was needed to protect savers and ensure "the good health of our banking system". 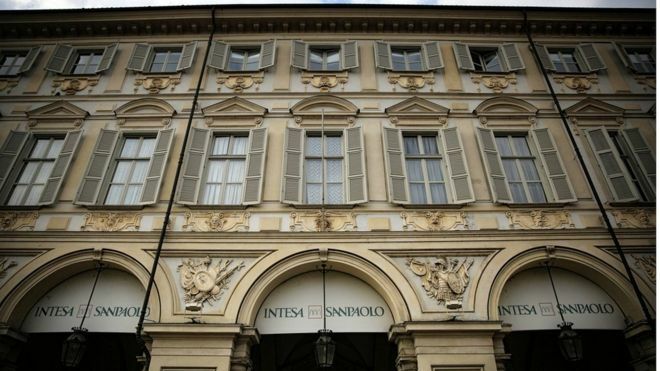 The two banks' branches and employees will be part of Intesa by Monday morning in a move designed to avoid a potential run on deposits that could have spread to other Italian banks. Economy Minister Pier Carlo Padoan said Rome would also offer guarantees of up to 12bn euros for potential losses to Intesa from bad and risky loans. "Those who criticise us should say what a better alternative would have been. I can't see it," he told a press conference on Sunday. Rome's plan has been approved by the European Commission and avoids a bailout under potentially tougher European rules. The EC's competition commissioner, Margrethe Vestager, said allowing Italy to use state aid would "avoid an economic disturbance in the Veneto region". She added: "These measures will also remove 18bn euros in non-performing loans from the Italian banking sector and contribute to its consolidation." Intesa, Italy's biggest retail bank, has paid a symbolic one euro for the two banks' good assets. 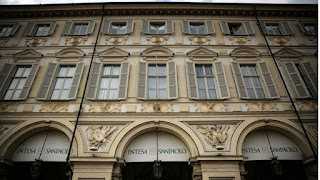 "Without Intesa Sanpaolo's offer - the only significant one submitted at the auction held by the government - the crisis of the two banks would have had a serious impact on the whole Italian banking system," financial analysts at Messina said. The failure of the two Venetian banks could result in as many as 4,000 job losses, La Repubblica newspaper reported.